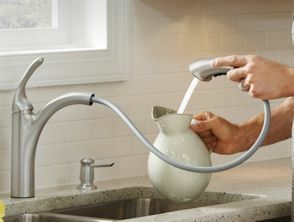 Moen’s new Reflex faucet’s flexible hose automatically retracts from any distance and angle, docking securely. The faucets are available in either a high or low arc, and in traditional, transitional and modern styles. The finish resists water spots and fingerprints and is infused with Microban antimicrobial bacterial surface protection. 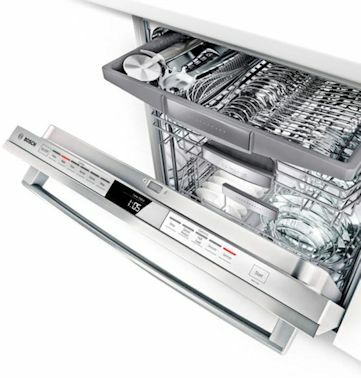 Bosch Home Appliances is known for producing some of the quietest dishwashers available. And by re-engineering the 500 and 800 series’ tubs, the company has added space for a new third rack, adding 30% more loading area to accommodate items such as ramekins and large utensils. The exterior comes in either stainless steel, white or black, and offers a choice of four designs, including recessed handle, bar handle, flush handle, and custom panel. 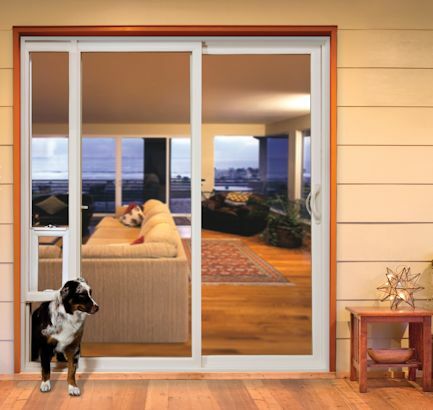 Jeld-Wen has launched a new line of entry doors and sliding patio doors with integrated pet doors—complete with an Energy Star-rated configuration. The securely-closing pet panel has a clear flap with a magnetic pull that keeps it closed in strong winds, but is flexible enough for the animal to enter and leave. And the human-size door works easily for people, operating just like most standard patio doors. 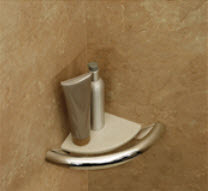 The Invisia collection from American Standard hides grab bars in plain sight. They include stylish, stainless steel towel bars in two lengths, a soap dish in a circular frame, a toilet roll holder within an extended curve, a corner shelf with a weight-bearing front rim and an accent ring designed to encircle the tub or shower controls. Brazilian walnut accessories—a corner bench and a fold-down seat—complete the line. This year’s BALA winners show some of the best trends in bathroom and kitchen sink design.